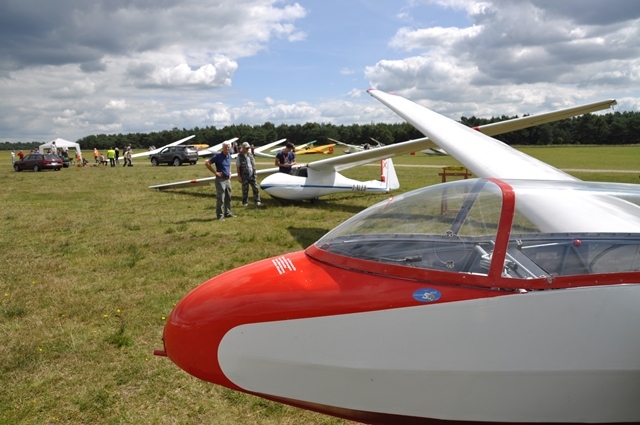 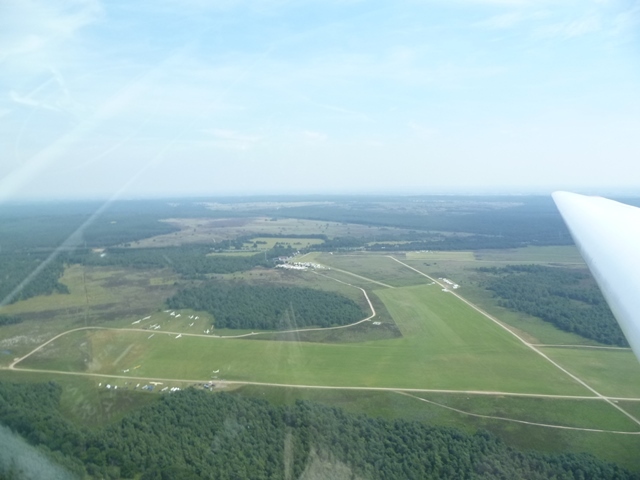 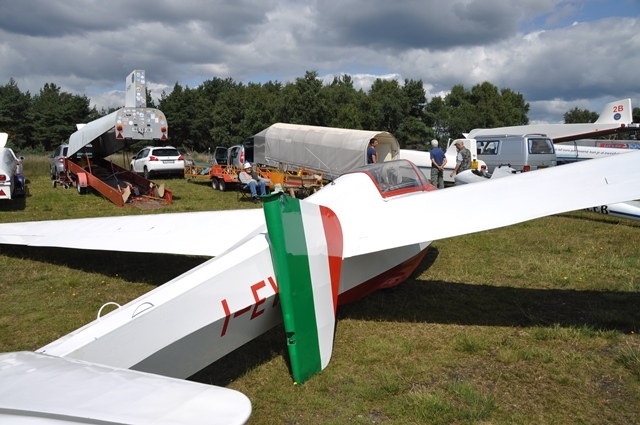 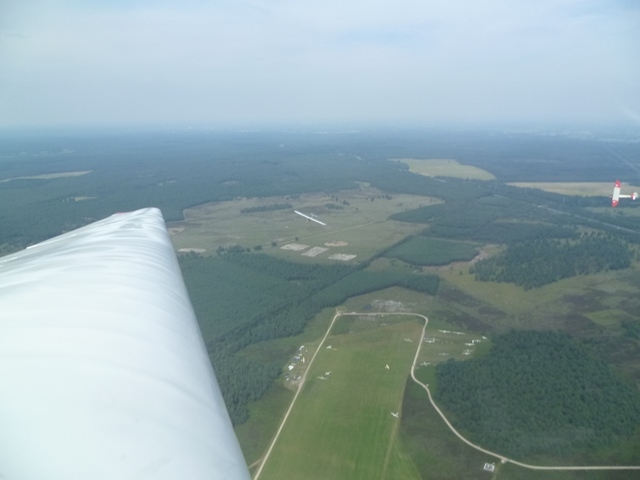 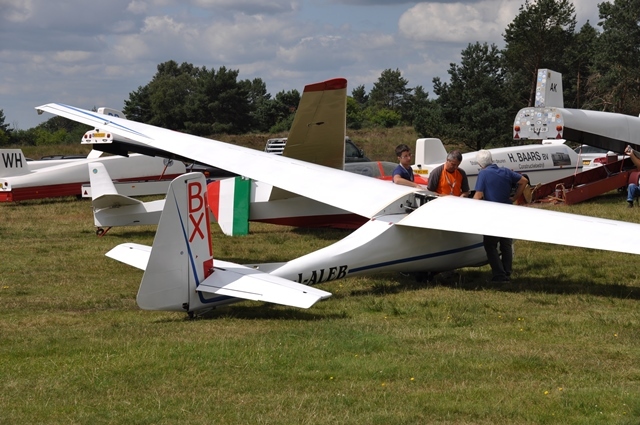 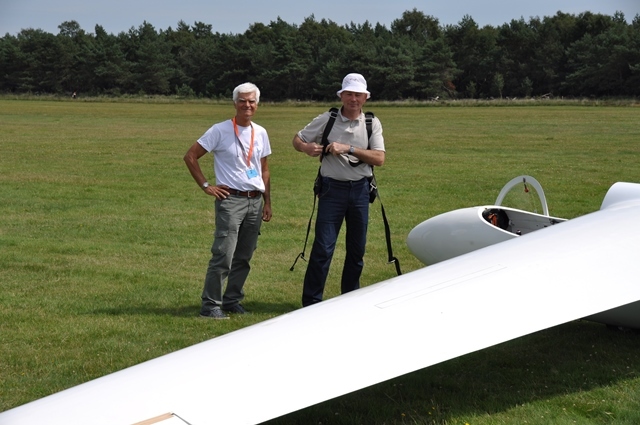 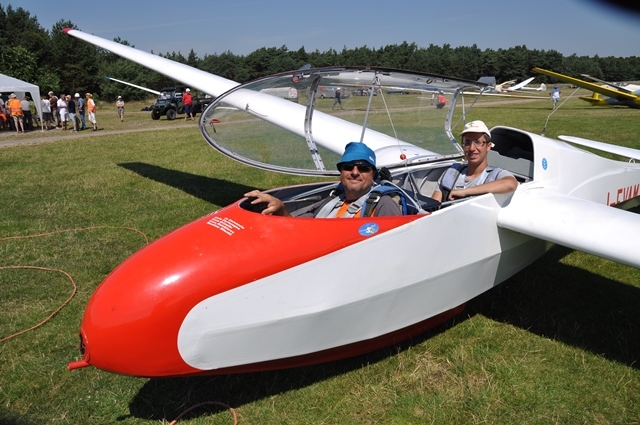 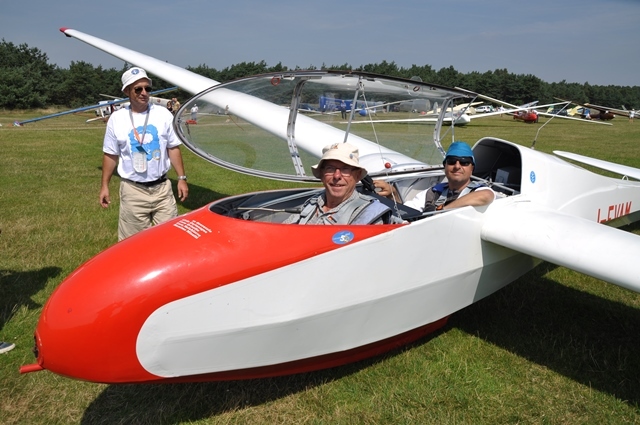 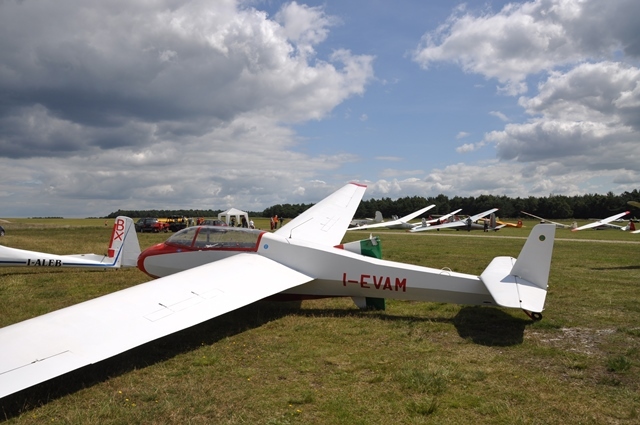 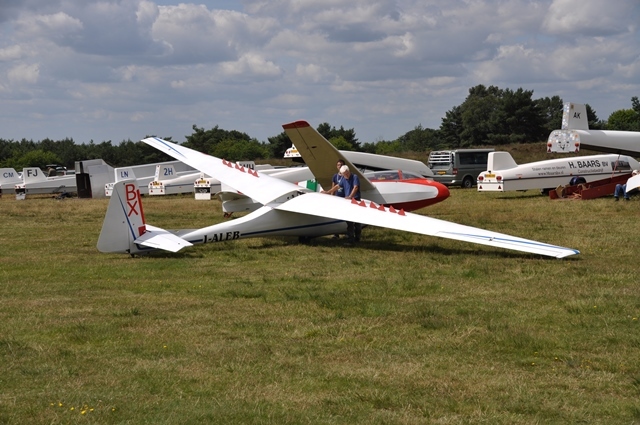 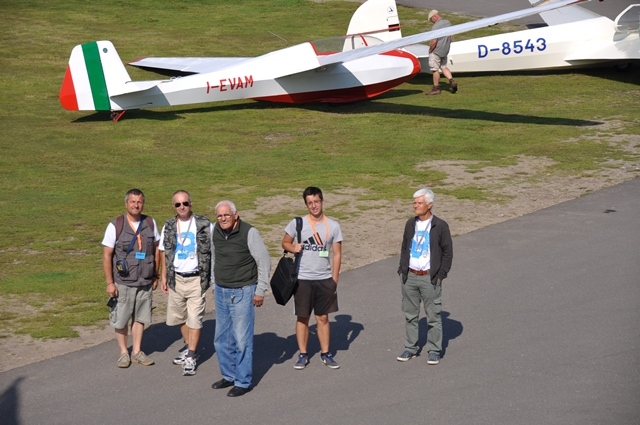 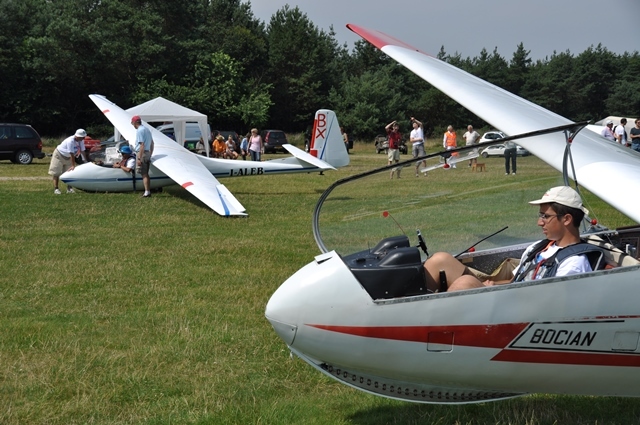 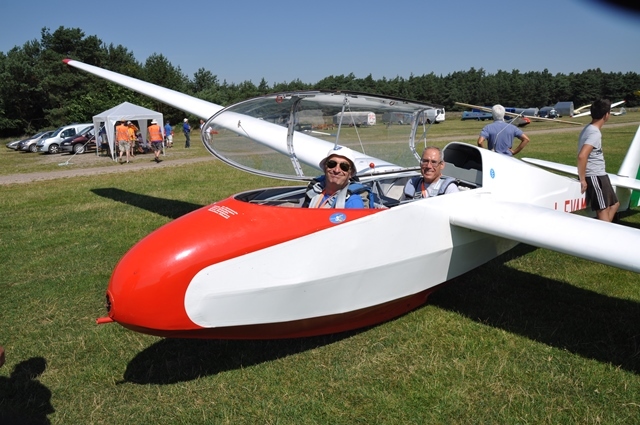 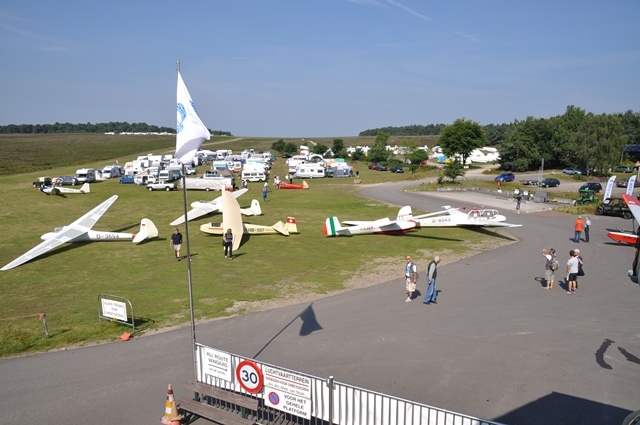 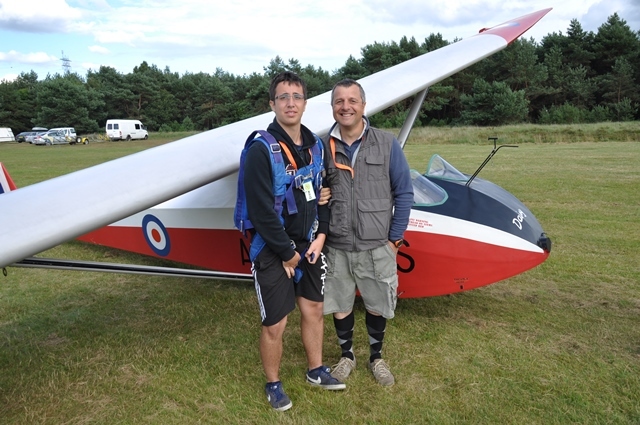 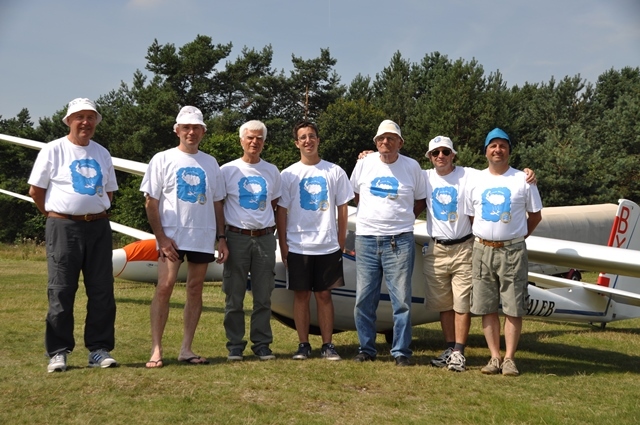 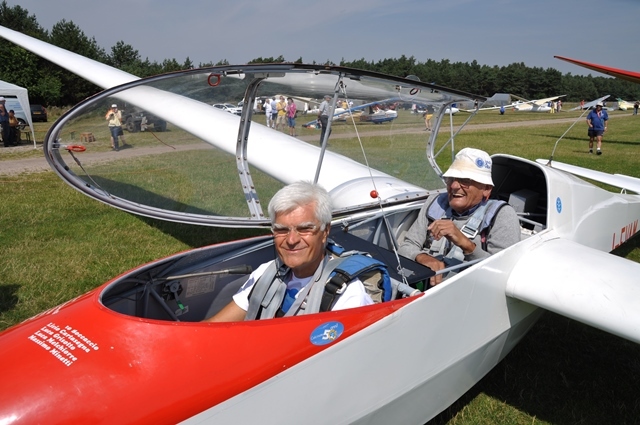 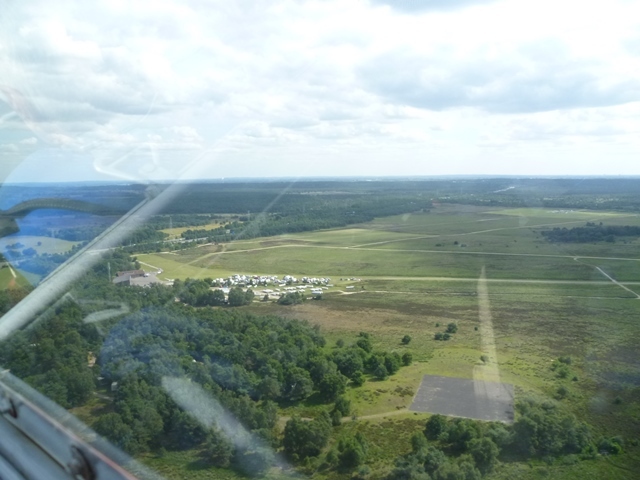 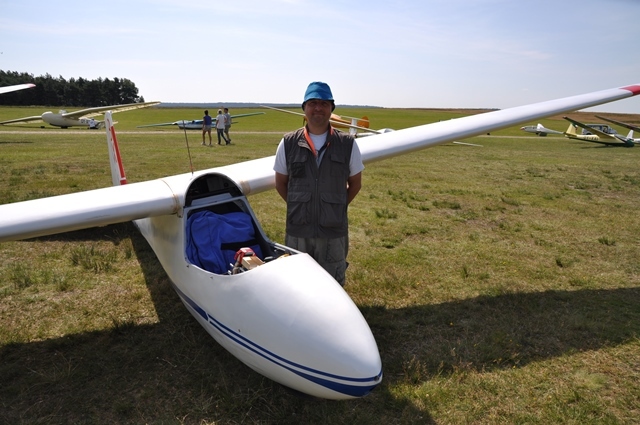 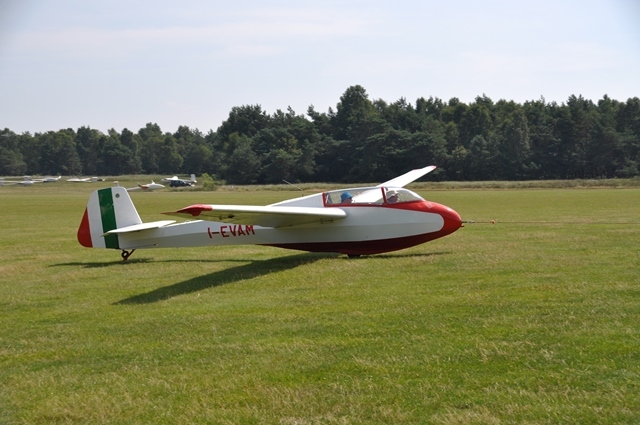 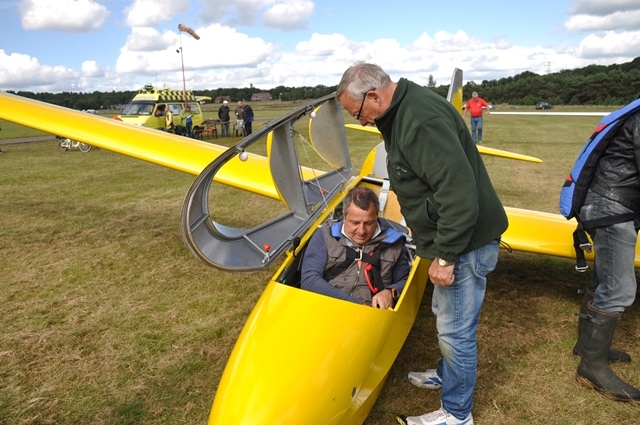 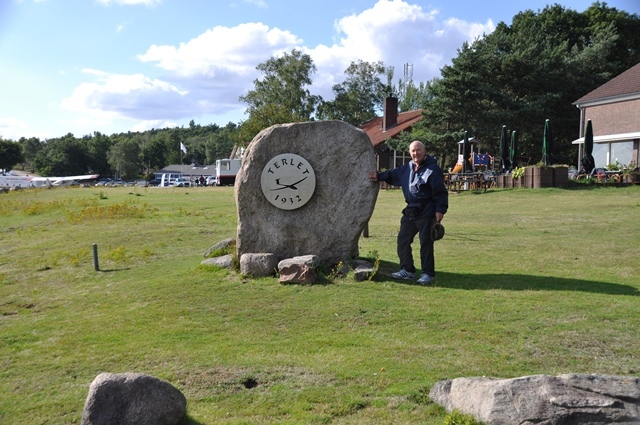 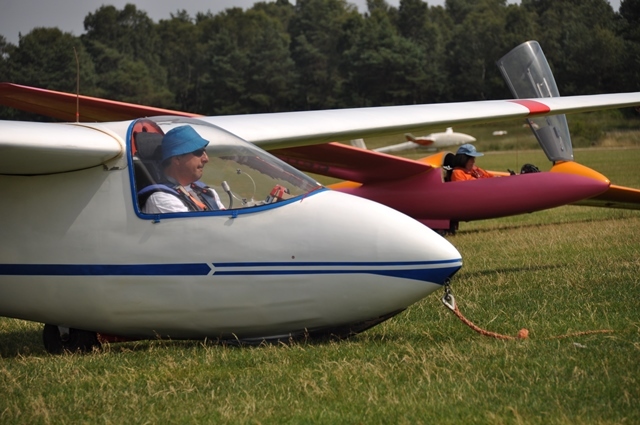 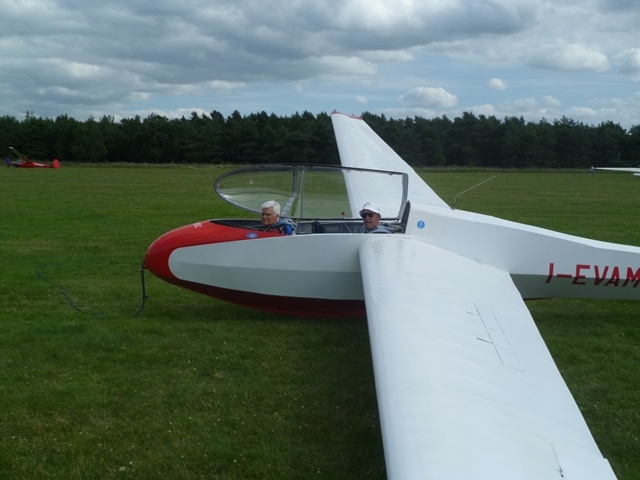 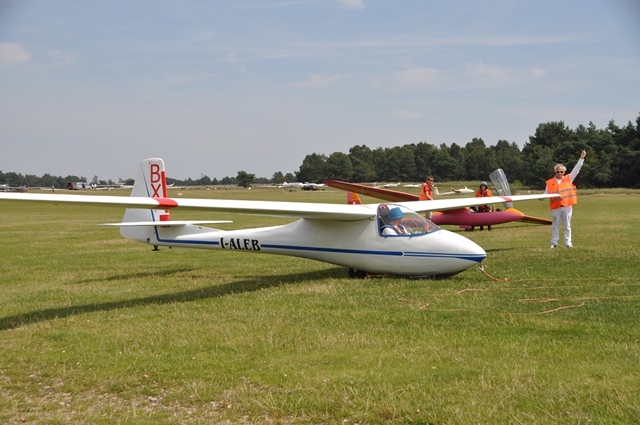 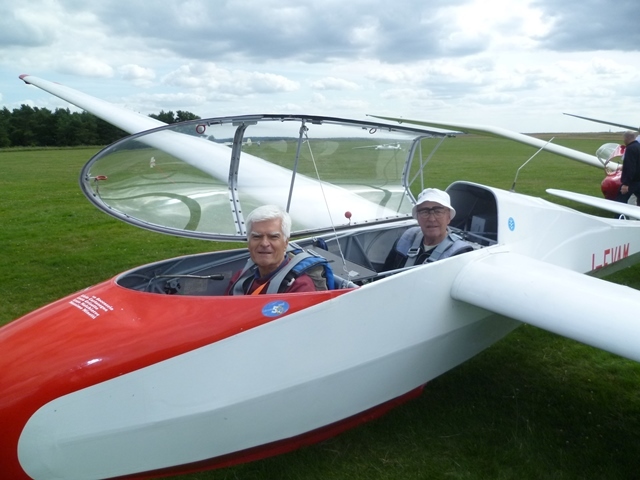 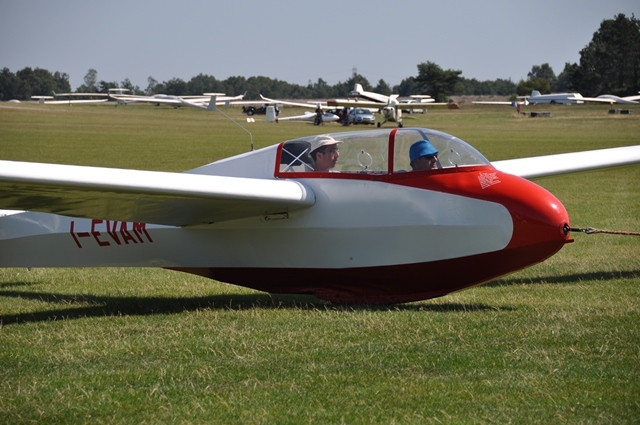 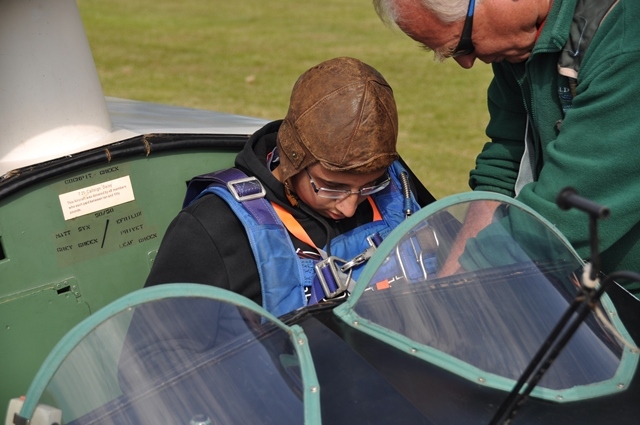 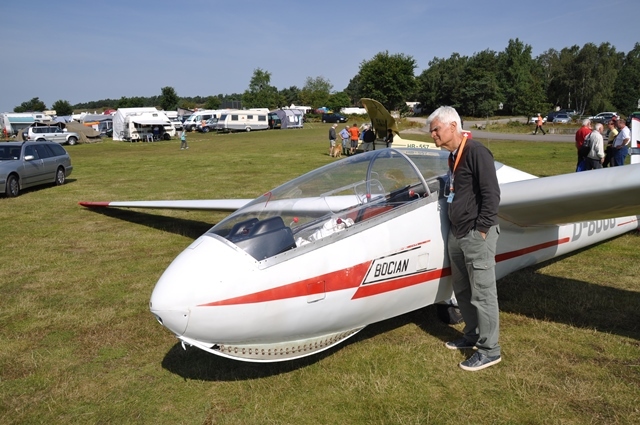 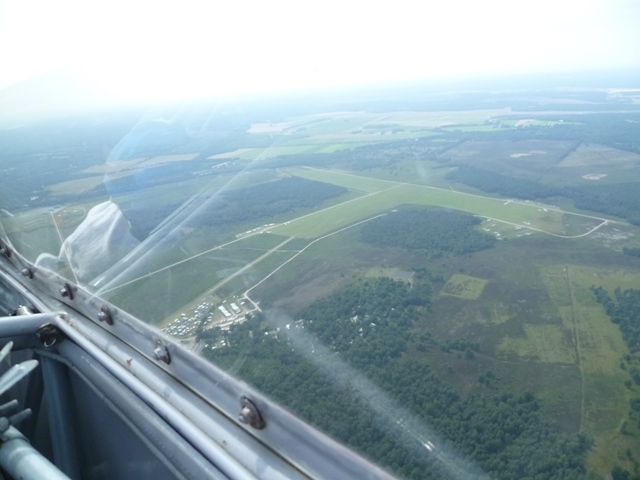 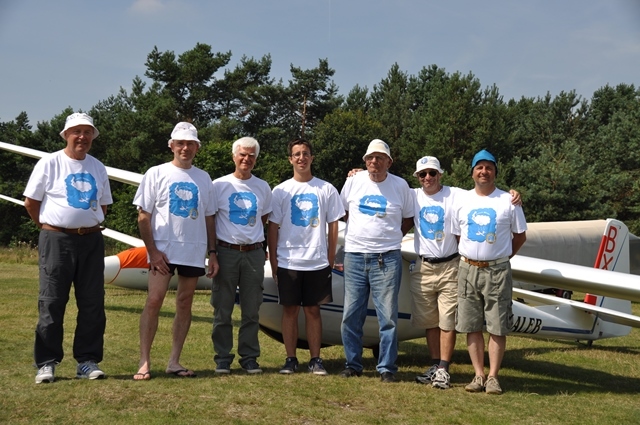 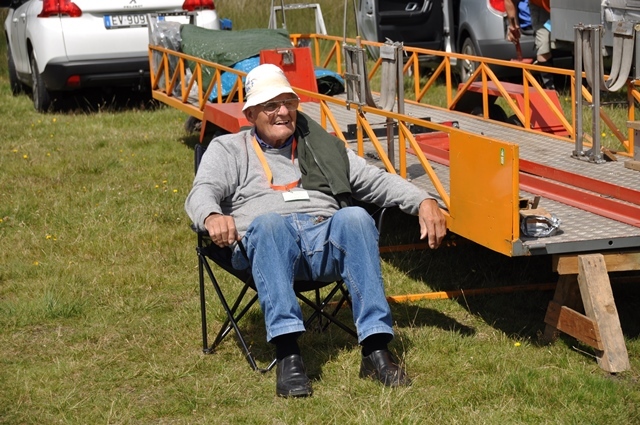 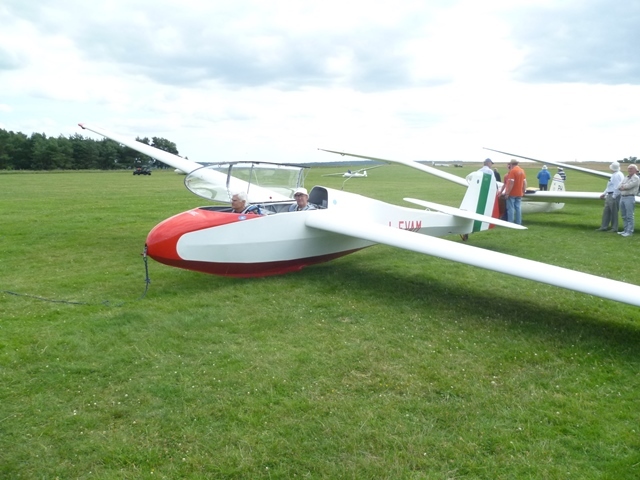 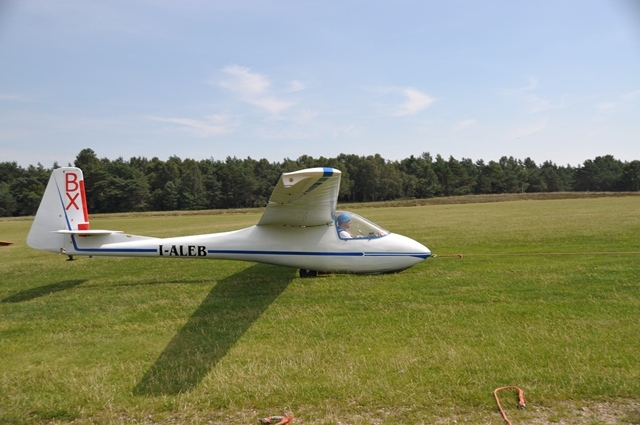 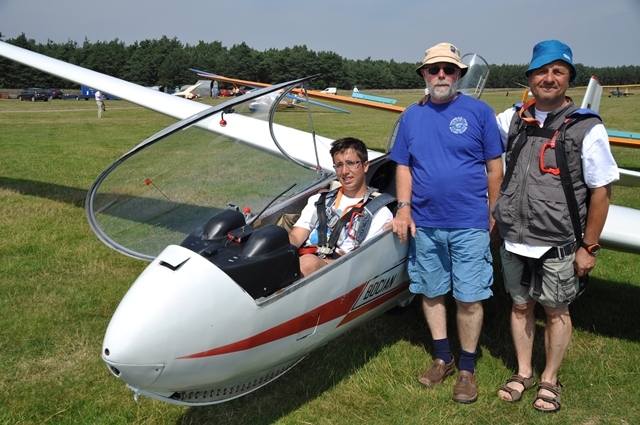 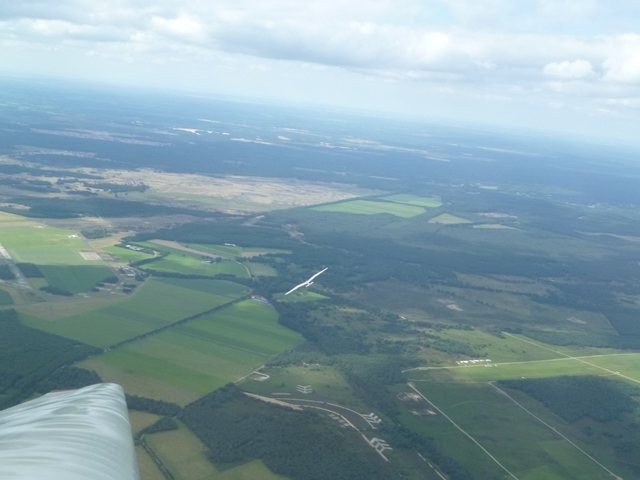 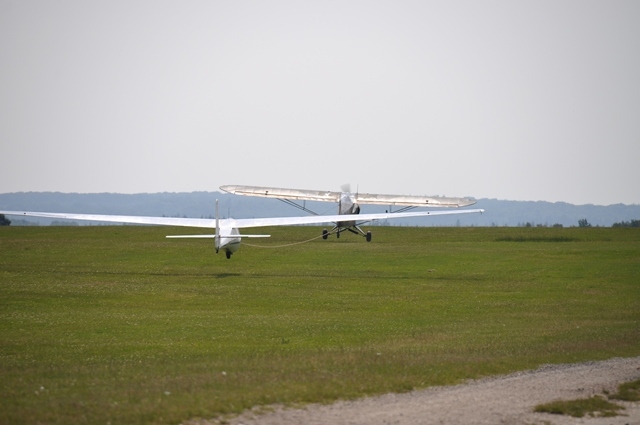 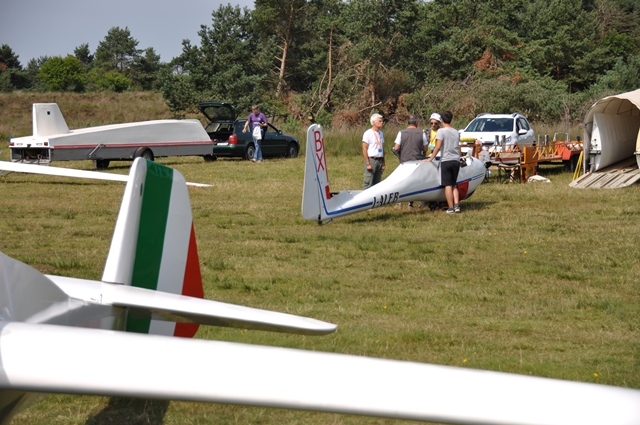 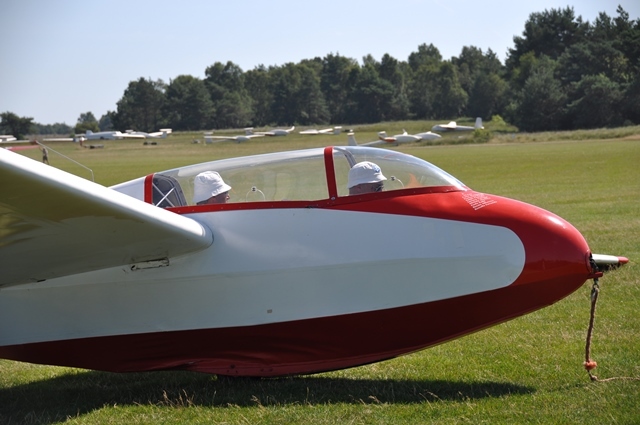 The meeting held in central Holland’s Terlet Gliding Center during the last days of July and the first of August, saw about 70 gliders from all over Europe. 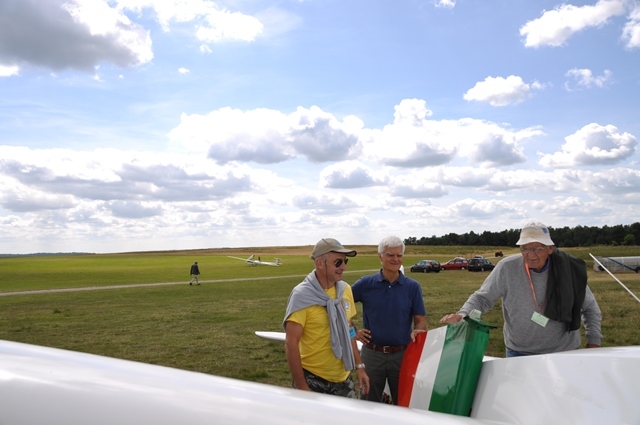 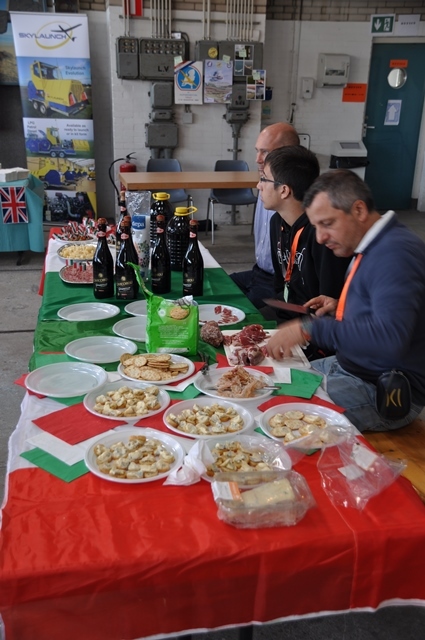 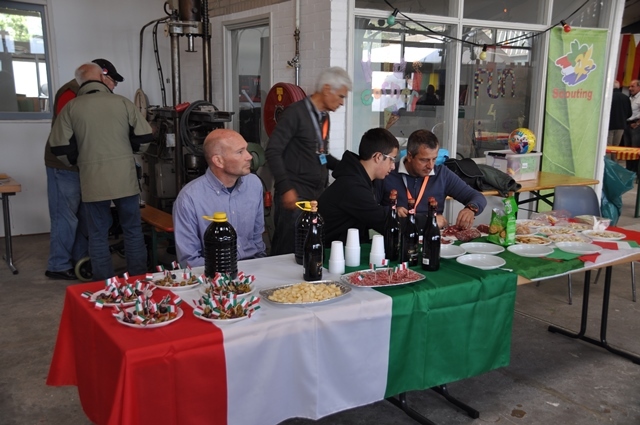 The Italian team was composed of six people, of which five were ACAO members (Stefano and Alessandro Bassalti, Lino Del Pio, Elio Cresci and Corrado Piantanida), a CSVVA member (Roberto Martignoni) and Alessio Bertocchi from Gorizia. 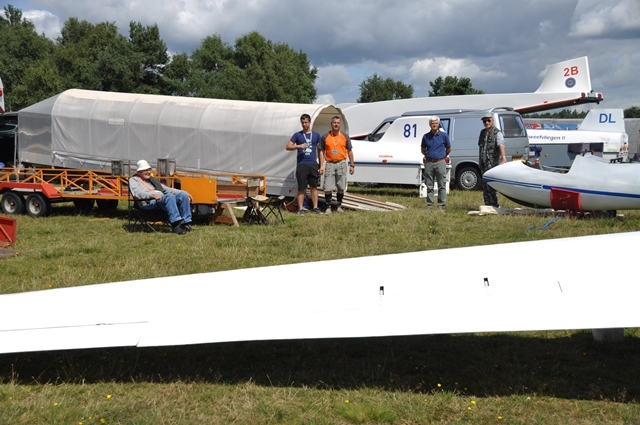 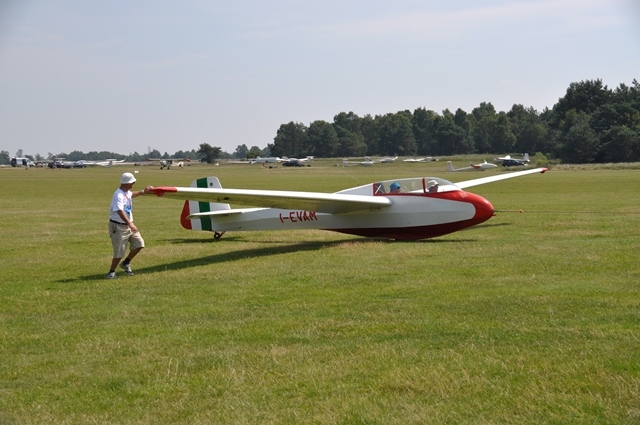 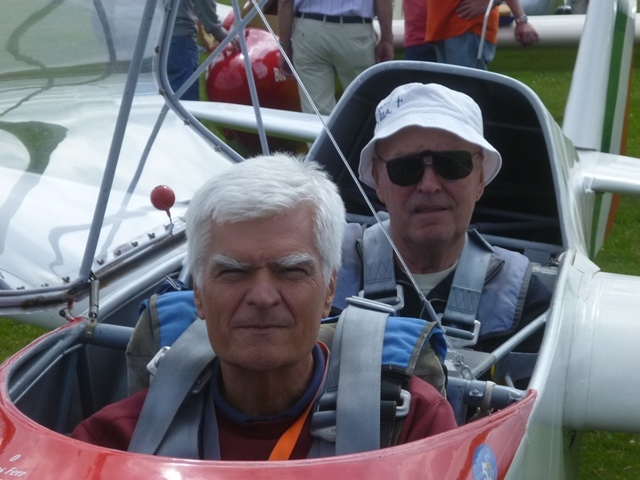 Of the approximately 70 historic gliders the Calcinate group brought a Berfalke 11 (I-EVAM) and Stefano’s M-100S (I-ALEB). 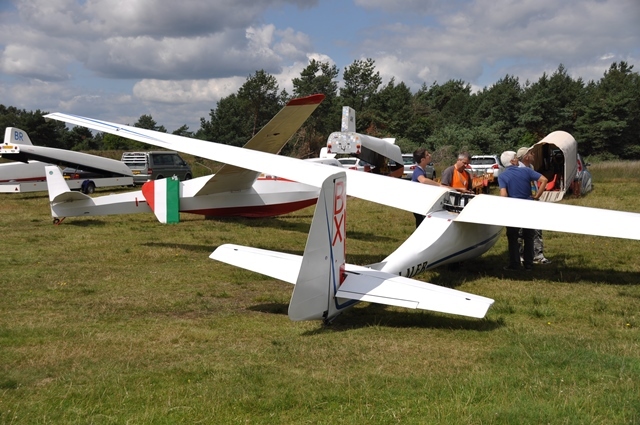 Besides these two gliders there was also Alessio’s Ka-6E which participated at the July Calcinate meeting. 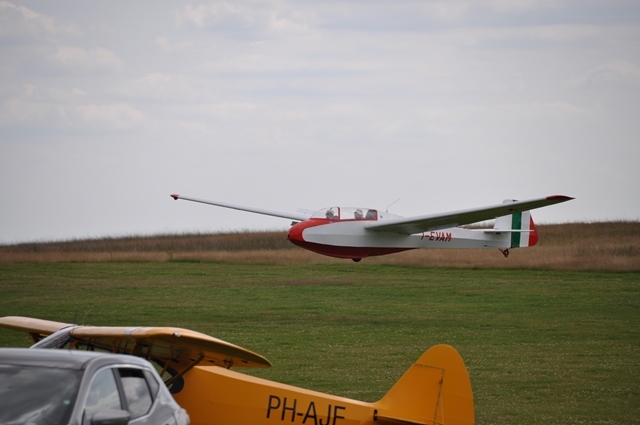 Our Berfalke with its tail carrying the national colours looked great among all the other machines. 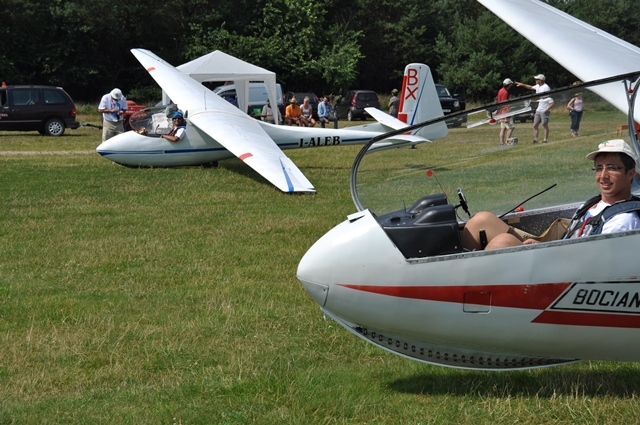 The M-100S had never been seen at a VGC meeting before and was a much admired rarity. 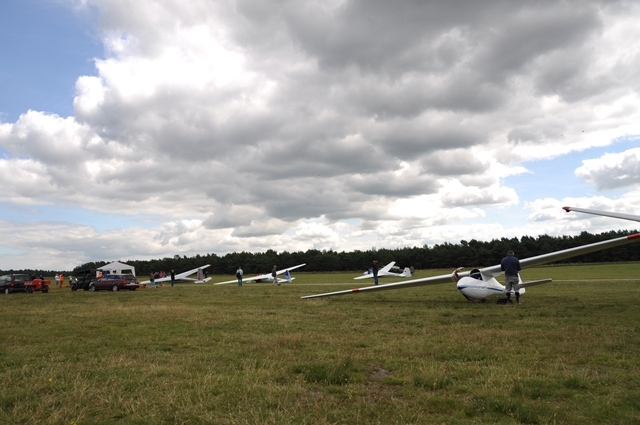 The weather for the first three days was very poor but in the second part of the meeting the two Calcinate machines were able to offer flights to pilots from other European countries. 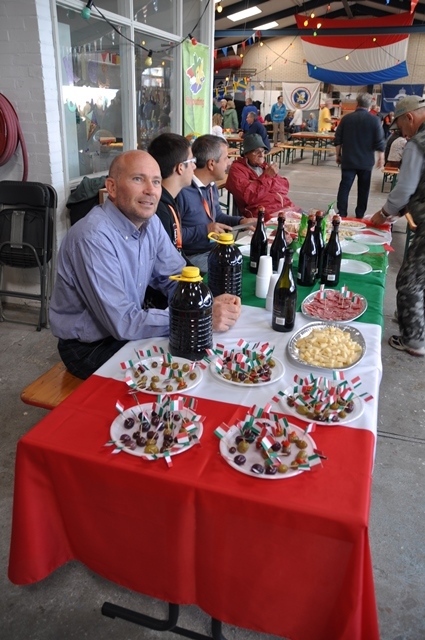 Stefano, as always, actively promotes our club internationally and is ready to organise future meetings at Calcinate.